It was a beautiful, sunny day—the kind that usually gets fogged out in Daly City. I had gotten home from middle school and to kill time before dinner, I went to my older sister’s room. She was sitting on her bed reading a book or magazine. Just as I hit the power button on our Commodore Amiga PC, rumbling started, so for a half a second, my mind raced for a connection, as if I caused it. My second thought was that Dad was jumping on the roof—he was both a handyman and a prankster. But the shaking got violent and I think I looked at my sister, and we both said, “Earthquake! ?” as we dived under the desks. Growing up in California, we practiced earthquake drills in school. Mom didn’t have this benefit, so she panicked and yelled at us to go downstairs into the garage, as if to bunker down. I remember being on all fours under the desk, helplessly looking at my Mom standing in the hallway, unable to explain why we weren’t following her. Afterwards, in our know-it-all, child-of-immigrants ways, we showed her how to brace in a doorway. We understood that’s what grown-ups were supposed to do. But this advice wasn’t actually all that great, and has since fallen out of usage. 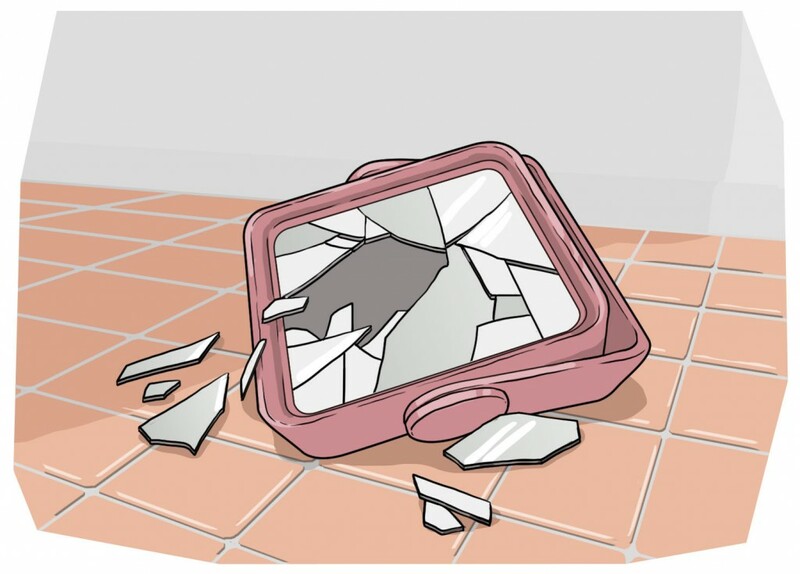 When we assessed the aftermath, we found that a magnifying mirror fell from the bathroom windowsill and broke. Our relief that there wasn’t worse damage was tainted by superstitious beliefs—the broken mirror as an omen of bad luck. Luckily, Dad was only a few blocks away when the quake struck, on his way home from the auto shop. His calm demeanor contrasted Mom’s nervous nature. Their marriage was like an arms race of world outlooks, one given towards fear, the other, obstinately insisting on relaxation. I was very curious to have Dad explain what it was like to experience an earthquake in a car, and consequently burnished a vision of him placidly steering his light blue 1980 Ford Fairmont as it wobbled across the asphalt into the late afternoon sunlight.